I come by my love for Teddy Bears honestly! 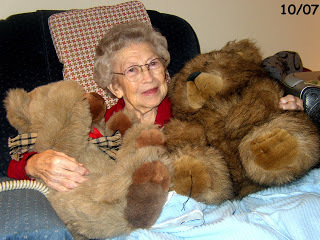 This picture of my mother holding two big Teddy Bears proves it! Mother and I bought these two big bears when I was visiting her in Washington! The one on the left we mailed to my sister-in-law, Cookie. The one on the right I took home with me on the plane! I put him in a big bag. No one complained because I had an extra carry-on! Kids sitting around me loved it when I pulled him out and showed him to them! 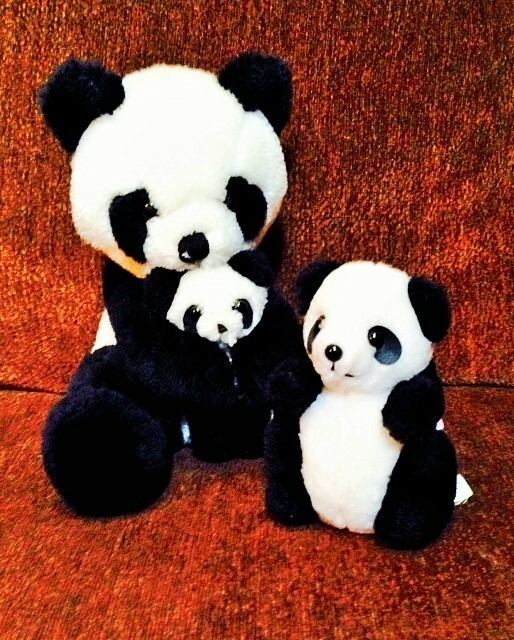 This is my lovable Panda Bear family! And who doesn’t love Pooh Bear? I had more but I’ve given a few away! 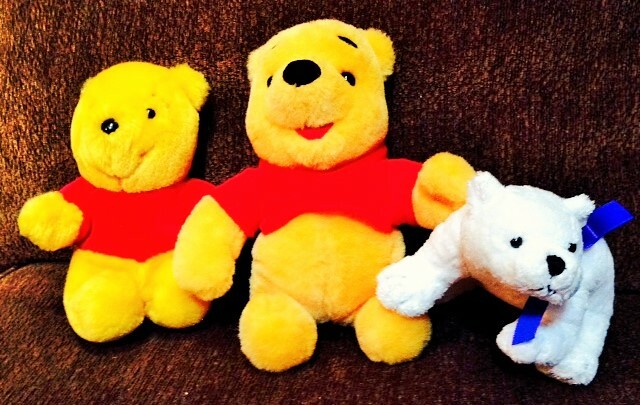 I’ve added a Polar Bear with Pooh! So there you have my lovable Teddy Bears. 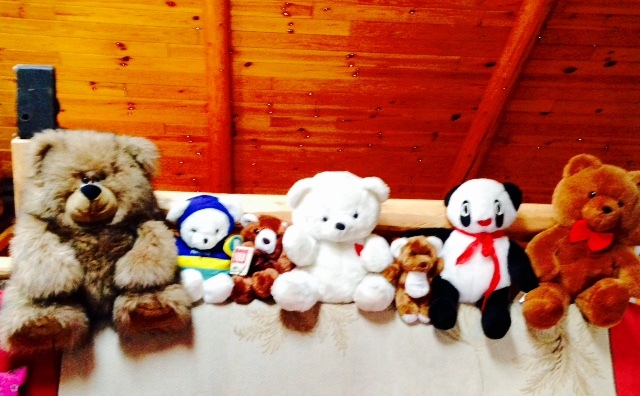 Do you love Teddy Bears? 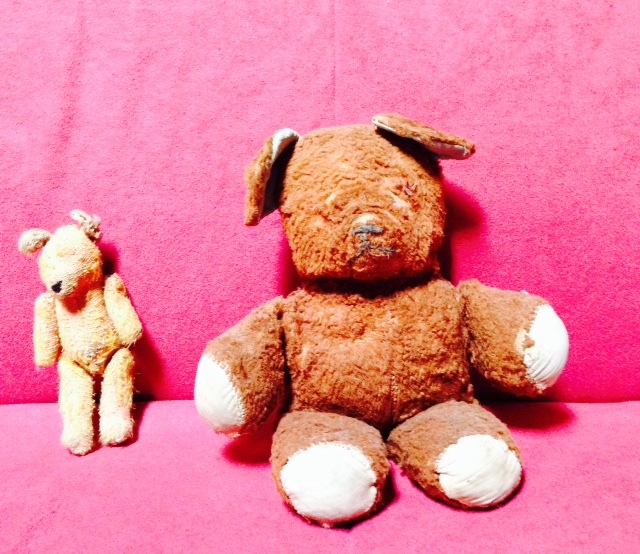 This entry was posted in Aging, Children, Fun, Jerry, Me, Memories, Mother, Teddybears and tagged Aging, Family, Fun, Jerrry, Me, Memories, Mother, Teddy Bears. Bookmark the permalink. Thanks, Marian! I know I’ve got to downsize but boy, it’s hard! One of these days I’ll post my guest bed on here. Surprise!